It's no longer about just cutting costs. CIOs must figure out ways to monetize tech including data, and where newer systems like blockchain can fit strategically. In the last year, CIOs moved more directly into the role of big-picture strategists who worry every day, along with the CEO and board, over ways to generate revenue instead of primarily cutting costs. It’s a role expected to broaden in 2018 and beyond. “CIOs are generating digital revenue, spending more time on top-line revenues versus bottom-line costs and monitoring diverse external service chains such as cloud services and BPO [Business Process Outsourcing] services,” said Thornton May, an IT consultant and futurist. He gleaned insights about the evolving role of the CIO from his own informal November survey of 30 CIOs. 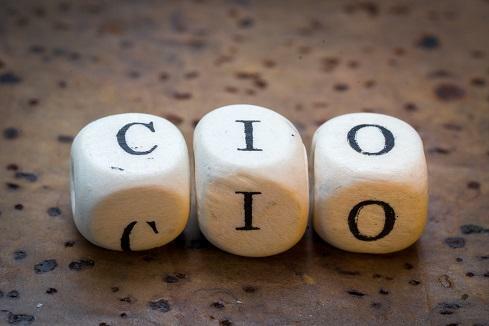 A key strategic role for CIOs is to become the executive who flags an organization’s “points of strategic ignorance,” May said. For instance, CIOs told May that they are focused on finding out what their organizations already know about blockchain technology and what they need to know about it. May calls this the ability “to create new knowledge sets” for the benefit of a firm’s policy makers. CIOs have also become champions of analytics and are finding ways to monetize the data long kept under-utilized inside an organization, May said. CIOs are also creating a security-savvy culture, a process that involves an audit of security behaviors and how an organization prepares and responds to attacks, May said. Security became an even bigger priority for CIOs in 2017 after the Mirai botnet crippled global networks in late 2016. Large organizations already employ dedicated cybersecurity talent, but spreading knowledge and training about cyber safety applies to all workers, even board members who are usually not security experts. While the CIO's function as a big-picture strategist is evolving, he or she is also expected increasingly to act more like the Chief Technology Officer in a company. CTOs need to keep up on all the new and coming tech products and services, and are less concerned with the internal organization. “CIOs have to talk more like CTOs because of the infrastructure-as-a-service phenomenon,” said Peter Karlson, CEO of NeuEon, an IT consultancy. 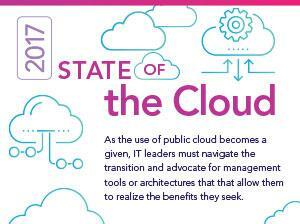 “Across the board, we constantly hear CIOs are focused on how to scale the footprint of their technology to meet the business needs.” Instead of buying more servers, the solution increasingly is to set up a hybrid cloud service. As many CIO’s enter 2018 -- with the need to consolidate and move storage, compute, and network services to the cloud -- they potentially face a big wake-up call in strategy regarding automation and shifting staff roles. May said 2018 is the year for great CIOs to step up and become a source of inspiration for CEOs, CFOs and COOs on ways to improve and change their enterprise. CIO’s can become “value yodas,” he added. Many CIOs have “dipped a toe” into machine learning, artificial intelligence, blockchain and augmented reality, but “they need to figure out how to make it useful in their business,” Katz said. Robert Barrett, vice president of IT at Rochester Electronics and a former consultant, predicted 2018 will be the year that CIOs and other IT leaders “focus less on technology and more on helping the business do their job and be able to respond faster” -- often by using data analytics. That said, tech doesn't disappear from the CIO's role, of course. Art Sebastiano, CIO at Ken’s Foods, said, "Transformational CIO’s working for companies that need a competitive advantage from technology are looking at ways to productize their offerings to appeal to more customers." Especially important in the year ahead, he said, will be IoT, ecommerce, and cross-partner collaboration "to reduce complexity in the supply chain." To hone their ability to face IT demands as diverse as cybersecurity training and automation in 2018, CIOs need to ratchet up the way they train themselves. It might require an unusual approach. May said CIOs need to spend more time on professional networking and asking peers frank questions about how they are implementing a new technology or approach. One way to network is to invite external pioneers in targeted "problem spaces" to come inside the organization to tell their stories, May said. CIOs also should form advisory boards around key areas such as analytics and information security. Barrett said he has heavily relied on CIOs in the Boston area for years for trusted advice that he can’t get from vendors or consultants. “CIOs need to be constantly learning and surrounding themselves with successful people who they can rely upon and can trust,” Katz said. If your organization is getting started with blockchain technology in 2018, the CIO (or another IT leader) can act as a strategist or integrator in the process. “I like the idea that [with blockchain] we can expand the number of folks whose daily input of data in their area of expertise contributes to the greater understanding of all of us with respect to operations,” said Bob Bennett, chief innovation officer for Kansas City, Mo. In that role, he works with the city’s CIO and other technology innovators. The benefits of blockchain can expand with the data collected and transmitted by smart meters and other sensors. “That data… will allow us to come up with more informed decisions because we will include the second order and third order effects and impacts of a single action,” Bennett said. Brian Katz of Oath, said blockchain is one of the new technologies that CIOs need to be looking closely at and understanding. “There’s a lot of interest in blockchain but not a lot of understanding by many yet,” he said. Matt Hamblen is an independent technology journalist based in Harrisonburg, Va. Most recently, he was a senior editor for Computerworld.